Last Minute Event Technology Decisions Don’t Have to Be Scary! While it is not optimum to have to make last minute decisions, it happens to the best of us. 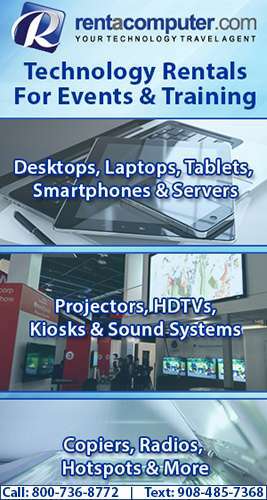 Technology is a very important key component to successful displays at events, trade shows and conventions. Your customers look for technology and expect to interact through technology. But your budget is holding up the white surrender flag and . . . → Read More: Last Minute Event Technology Decisions Don’t Have to Be Scary! I don’t know about you, but Apple is really starting to annoy me with all this patent infringement nonsense. Just when you thought it was over and the patent war between Apple and Samsung had ended, Apple decides to start it up again. I wonder how long this one is going to take in court?